Try out PES 2019 with a special free-to-play version that you can download and enjoy now. Konami has released a free-to-play edition of PES 2019, PES 2019 Lite, which is available to download and play now on PlayStation 4, Xbox One, and PC. 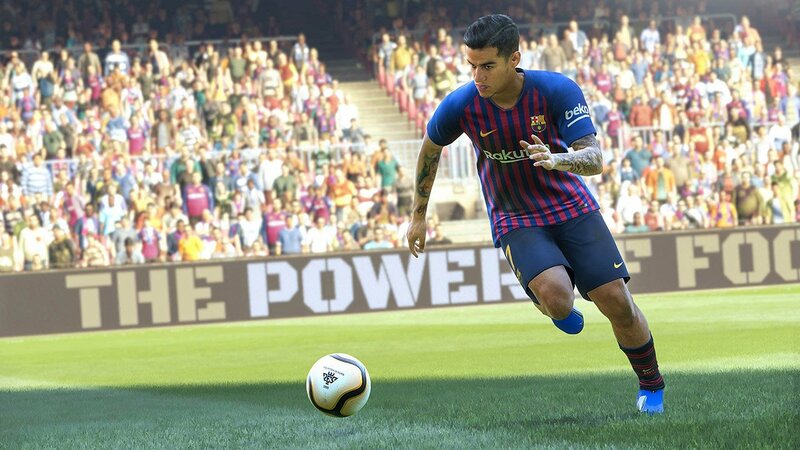 PES 2019 Lite lets players test out the game without having to purchase it, offering a wide range of online and offline game modes from the full version. It includes new modes like offline exhibition matches, skill training, and PES League mode, which lets you tackle 1v1 or co-op competitions that allow you to qualify for future, global events. The myClub mode, played online, lets players sign current soccer stars and legends of all time as well, like Diego Maradona, Gabriel Batistuta, and David Beckham. You can put together all the players you want in this special mode, as others will appear in-game throughout your year as well. Of course, it's important to note that this version of the game does feature in-game purchases, so if that's not what you're looking for, you may be better off purchasing the full game instead. There will likely be a variety of microtransactions to look out for. Shacknews has previously showcased PES 2019 during a special edition of our Please Take A Look stream, and you can check out an archived VOD of that stream to see if it's something you might want to experience, paid or not. If you're just curious and want to try out a new soccer game, you won't have lost anything by jumping in on Steam or your favorite console and giving it a go. PES 2019 Lite is available now on PlayStation 4, Xbox One, and PC. All you need to do is grab it from the respective stores on each platform, and you can jump right in today. You might just become a full-fledged soccer star before you know it.